I love my Liz Earle Cleanse and Polish, it's my go to cleanser! I always use it in between more intense cleansers so when I was sent this moisturiser to review I was very excited! The moisturiser is really light and rubs in really well and quickly into the skin. The moisturiser is full of naturally active ingredients like wheatgerm oil which contains high levels of vitamin E which is a powerful anti-oxident and Glycerin which attracts water so hydrates the skin. The moisturiser is suitable for normal/combination skin so it perfect for my skin. I have oily/combination skin and because this moisturiser is so light and hydrating it moisturises my skin without adding any extra oilyness or grease. I love the tube it's so easy and more hygienic than the tub thats also available in 50ml for the same price so it's great if you prefer to use a tub rather than a tube like me. I think the tube is really great for me because I stay at my boyfriends so its easy to pack into my make up bag and also I will be bringing this on holiday because its so lightweight. I really love this moisturiser and i'm always very impressed with Liz Earle Products I think they are amazing quality and they last for ages. I think £19.25 is rather expensive but its a great quality product and I would repurchase this and recommend it! 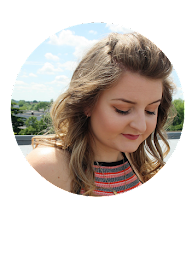 Are you following me on bloglovin ? Do it Here !